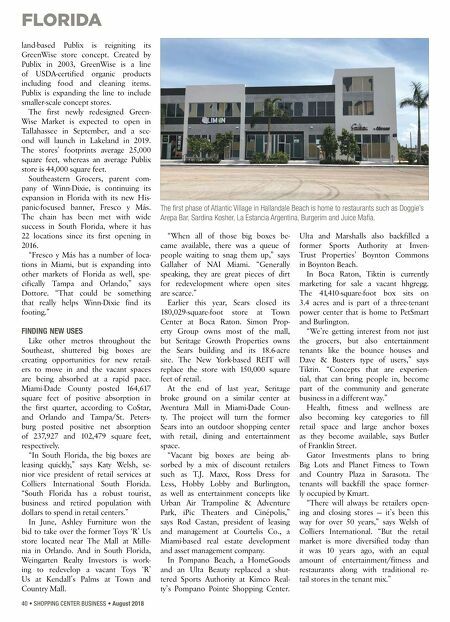 • Today's retail environment has to incorporate entertainment, customer engagement and consumer participation to succeed. 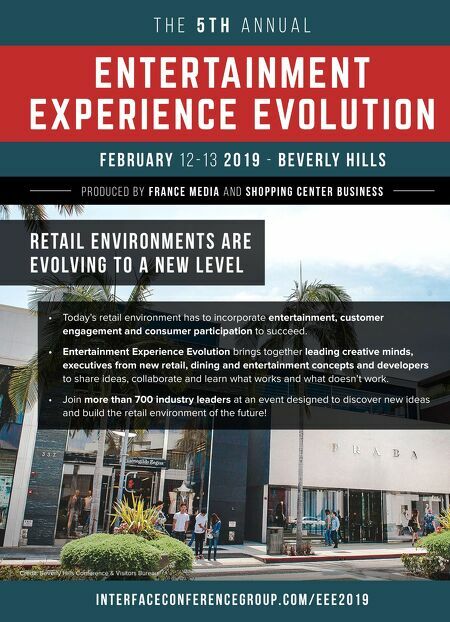 • Entertainment Experience Evolution brings together leading creative minds, executives from new retail, dining and entertainment concepts and developers to share ideas, collaborate and learn what works and what doesn't work. • Join more than 700 industry leaders at an event designed to discover new ideas and build the retail environment of the future! R E TA I L E N V I R O N M E N T S A R E E V O L V I N G T O A N E W L E V E L i n t e r f a c e c o n f e r e n c e g r o u p . c o m / e e e 2 0 1 9 F E B R U A R Y 1 2 - 1 3 2 0 1 9 - B E V E R LY H I L L S T H E 5 T H A N N U A L ENTERTAI NMENT EXPERI ENCE EVOLUTI ON P R O D U C E D B Y F R A N C E M E D I A A N D S H O P P I N G C E N T E R B U S I N E S S Credit: Beverly Hills Conference & Visitors Bureau.